Are you a business owner in Mallorca? Promote your business 365 days a year with the #1 Guide to Mallorca. Palma de Mallorca's old town is a fascinating architectural link with the past, a treasure trove of restaurants and shops, and a great place to base your visit to this fascinating island. Apuntadores is one of the best known streets in the old town, leading directly off the Plaça Reina, next to the Almudaina Palace and the great La Seu cathedral, and a stone's throw from the sea. 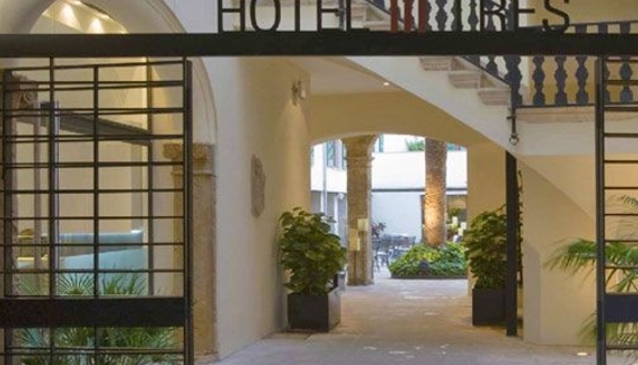 The Hotel Tres is just a few steps along this narrow street, and it presents the face of the sixteenth century palace behind which a new, modern structure rises. We don't often come across hotels which get universal praise from travellers, but the Hotel Tres is one that does. My Guide Mallorca is part of the global My Guide Network of Online & Mobile travel guides.